Microsoft Office 2010 has reached RTM (Release to Manufacturing) milestone on Apirl 15, 2010 as build version 14.0.4763.1000, and within days, both 32-bit (x86) and 64-bit (x64) Office 2010 ISO images have been leaked for download via BitTorrent network, days before MSDN and TechNet subscribers can download the ISO officially on April 22, and beats Volume License customers with active Software Assurance (SA) who can only download the 2010 set of products in the English via Volume Licensing Service Center starting April 27. Note that although the main RTM assembly build of Office 2010 has version number of 14.0.4763.1000, its individual applications inside the package may have different build numbers as their final RTM version. In fast, in About dialog, MSO has is version 14.0.4760.0, while Word 2010 is version 14.0.4762.0, Excel 2010 and Visio 2010 are version 14.0.4756.0, Project 2010 is version 14.0.4751.0, PowerPoint 2010 is version 14.0.4754.0, Outlook 2010 is version 14.0.4760.0, and Access 2010 is version 14.0.4750.0. 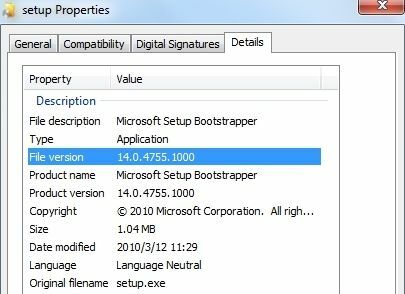 Only OneNote 2010 has build version of 14.0.4763.0. And even the Office 2010 suite setup.exe has the build version of 14.0.4755.0. The leaked Official 2010 RTM ISO images are from Select volume licensing channel, which means the leak includes Office 2010 Professional Plus edition, which is essential for KMS activation. And for the can’t wait, here’s the BT torrent download links for Office 2010 official and original final RTM ISO images. Note: Microsoft Office 2010 Proofing Tools is an add-in package that contains the proofing tools that Microsoft makes for over 30 languages. For example fonts, spelling and grammar checkers, AutoCorrect lists, AutoSummarize rules (Microsoft Word only), translation dictionaries, and for Asian languages, Input Method Editors (IMEs or alternative keyboard layout) for Traditional Chinese, Simplified Chinese, Japanese, Or Korean. 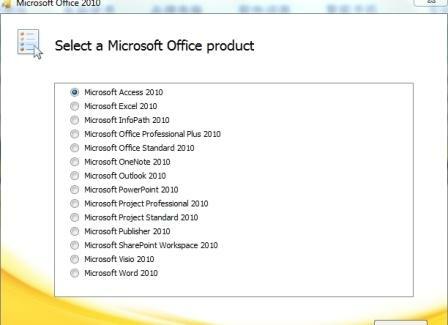 For users who looking to purchase Office 2010, the retail of Office 2010 will only start from around mid June. However, there is Office 2010 Technology Guarantee program which provides free upgrade to Office 2010 when it’s available for Office 2007 purchased and activated between March 5, 2010 and September 30, 2010. Separately, a business launch event for Office 2010 has been scheduled to be held in New York on May 12, where business customers would be able to buy Office 2010 starting May 12. The prices of Office 2010, editions of Office 2010 which spans Office 2010 Home and Student, Home and Business, Professional and Professional Academic, Starter (ad-support version) and system requirements of Office 2010 have been revealed earlier.